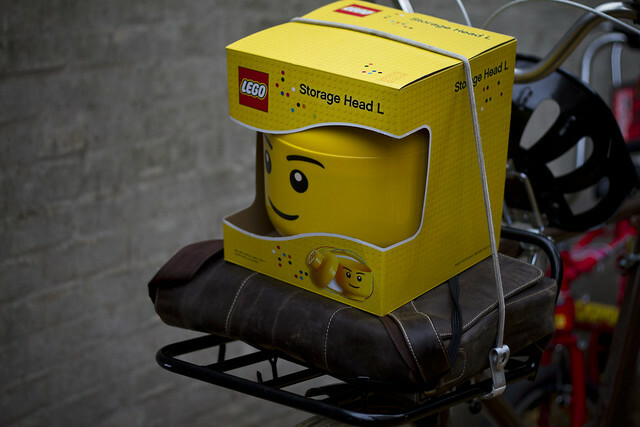 When a bicycle is your primary form of transport, strange things appear on it. 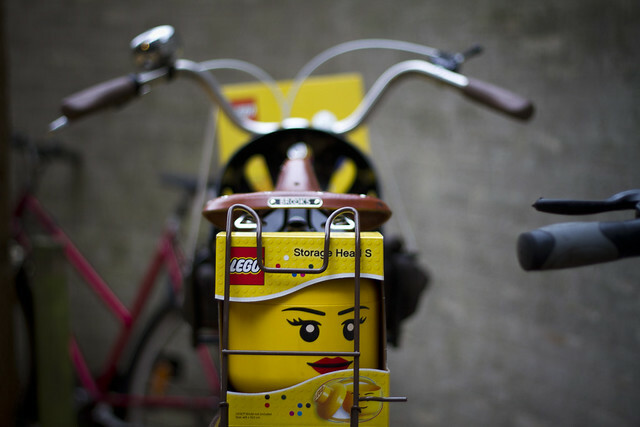 Like these LEGO storage heads I found on sale at a supermarket here in Copenhagen and rode home with on my Velorbis. I like having eyes in the back of my head.